Would you like to learn a brass instrument? Did you come along last time and have a try out? Come along and get started on the basics. We will be using a selection of school brass, and will be offering coaching and support to get you playing. There will also be information about the new Skype Brass lessons we will soon be offering in conjunction with Cornwall Music Service Trust. If you are a community brass player and would like to help us or have some coaching, we would love to hear from you! Please book in for your session via Facebook/email, stating number of adults and children, and which session (10-11 or 11-12). If you want any further information, please contact me on deborahwainwright@fiveislands.scilly.sch.uk or ring 424850 and leave me a message. 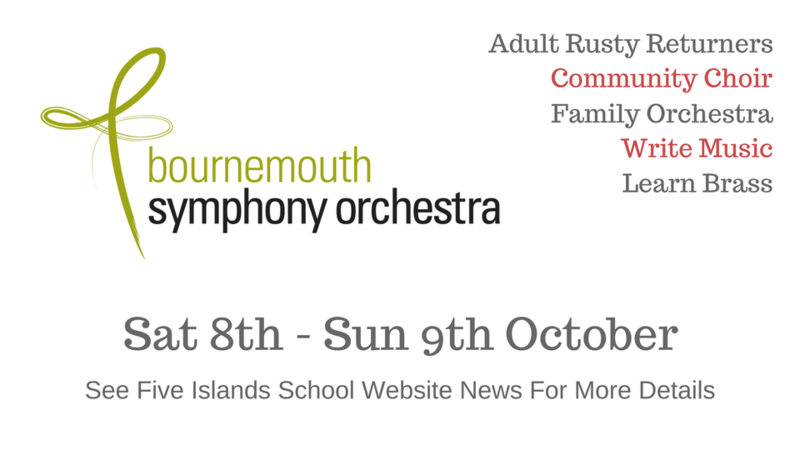 Alternatively you can message me via our Facebook group – Five Islands School Music Department.